Tools Of The Trade: The Presidential Physical Fitness Test : NPR Ed For many, the now-retired national fitness test evokes dread. A timed mile run, pull-ups, curl-ups, a shuttle run and the V-sit. All for a small blue patch. For this series, we've been thinking a lot about the iconic tools that some of us remember using — if only for a short time — in our early schooling. Things like the slide rule and protractor, recorder and Bunsen burner. Mere mention of today's tool sends shivers up the spines of entire generations — the tool long used to measure physical fitness: the Presidential Physical Fitness Test. For many, myself included, the now-retired test evokes dread. V-sits. Pull-ups. The mile run. Patches for the new Presidential Youth Fitness Program in Lauren Horton's office at Capital City Public Charter School in Washington, D.C. I can still remember lacing up my sneakers in the school locker room, just one of many hoping the fitness test had been postponed. Or canceled. Abbe Tanenbaum, one of my classmates from our elementary school days in Erie, Pa., remembers the constant fear and anxiety. "When the weather would get nice, I would dread each day knowing we'd have to run the mile," she says. "I prayed for rain." Brian Gallagher grew up outside Philadelphia and remembers doing well at the pull-ups and the mile — but was embarrassed by the V-sit, the test that measures flexibility. Gallagher recently opened a fitness studio in New York made to resemble an elementary school gym. Its record board is aptly called the Presidential Physical Fitness Test. In the 1950s, research showed Americans were out of shape and in poor health compared with their counterparts in Europe. In response, President Eisenhower formed the President's Council on Youth Fitness — to investigate the findings and mount a national response. When President Kennedy took office, he made improving the nation's fitness a top priority of his administration. In 1960, he wrote an op-ed in Sports Illustrated, declaring, "in a very real and immediate sense, our growing softness, our increasing lack of physical fitness, is a menace to our security." The remedy — or the attempt at a remedy — came in 1966, with the Presidential Physical Fitness Award. The original test was designed to encourage and prepare young Americans for the physical demands of military service. It included a softball throw — said to mimic throwing a grenade; a broad jump — later renamed the long jump; a shuttle run — to test agility; and pull-ups — designed to imitate a sailor climbing a ladder. To receive the award, a student needed to place in the top 85th percentile based on national standards. In, say, 2008, that meant an 11-year-old girl had to run a mile in under 9 minutes, do three pull-ups and complete 42 curl-ups in 60 seconds. "The test was totally backwards," says physical education teacher Joanna Faerber. "We knew who was going to be last, and we were embarrassing them. We were pointing out their weakness." Faerber has taught physical education at the Louisiana State University Lab School for more than 25 years, and she remembers participating in the president's challenge in grade school. The pull-up, she says, prevented her from getting the award. By the mid-1970s, Faerber says, the physical fitness education community began talking about the negative impact of the test, a debate that spanned multiple presidential administrations. "The council had that conversation over and over again during my tenure," says Sandra Perlmutter, the executive director of the President's Council on Fitness, Sports and Nutrition under President Clinton. Perlmutter doesn't have fond memories of the test either, and was hoping to make changes when she took the post in 1993. But change was hard, she says, because there were so many players involved. 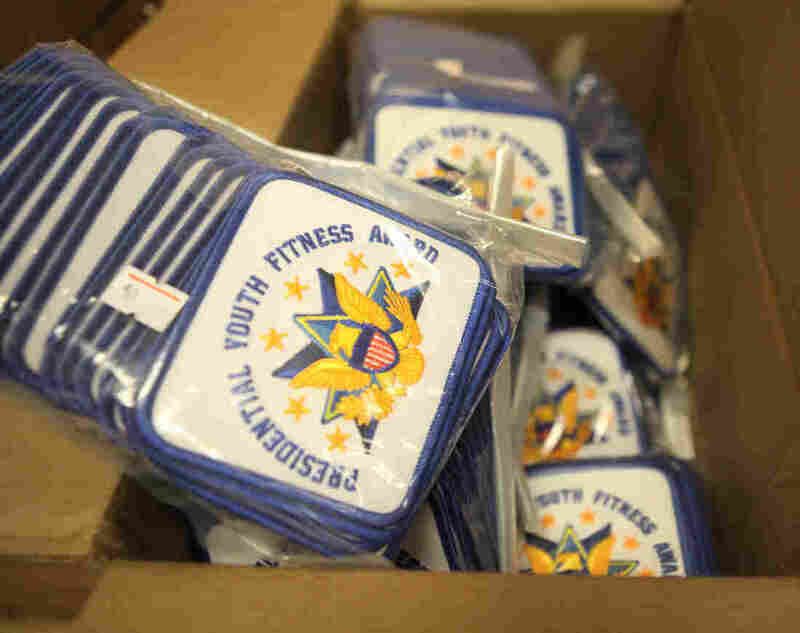 Current elementary school students no longer have to live in fear: In 2012, the Presidential Physical Fitness Test was replaced by the Presidential Youth Fitness Program. The new program is more than just a fitness test. It's a teaching tool to help students understand fitness and develop habits they can use to get healthier. 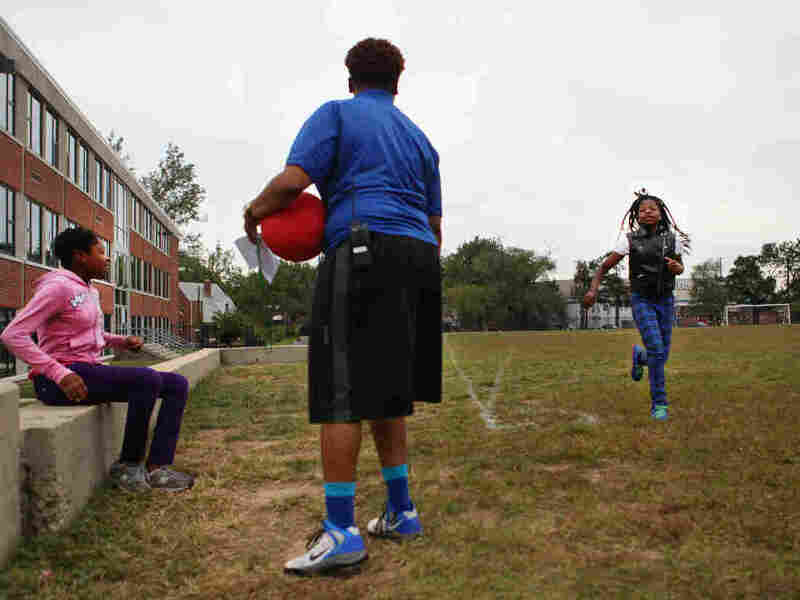 Students do a practice run in Lauren Horton's physical education class at Capital City Public Charter School in Washington, D.C. There is an assessment component. Called the FitnessGram, it maintains elements of the original test, with an updated methodology based on current physical education research. The largest shift is its endgame, which changed from beating other students to being personally active and healthy. Students no longer run a timed mile; instead, they do a PACER test, an assessment that measures how long a student can keep a run pace. This shift allows slower runners to finish first, not last. The new assessment also adjusts the way curl-ups (aka sit-ups) are done. The FitnessGram — to be filled out online — generates student reports and allows teachers and students to establish short- and long-term fitness goals. "The thinking is totally changed," says Faerber, who helps train physical education teachers under the new program. "Now you want to get into the healthy fit zone, instead of being the person who can throw the softball the farthest." Despite training sessions and ample online curricular materials, it's been a tough transition for many teachers. The 50-year legacy of the Presidential Physical Fitness Test is hard to shake. One school in Texas still has posters hanging in its gym, spotlighting the school record for curl-ups. And Baton Rouge, La., still hosts a multischool fitness meet using the old standards. But the relatively new FitnessGram is slowly changing the culture of in-school physical fitness. In Lauren Horton's physical education class at Capital City Public Charter School in Washington, D.C., students do a PACER run instead of the timed mile. Instead of the curl-up, they do crunches. And before they're finally tested, kids get lots of practice. When I visited this fall, they were running a half-mile — though they didn't know it. Horton only tells them the number of laps around the field because, she says, they'd "freak out if they knew it was a half-mile." Indeed, many of the students moan and protest not only before the run but also during and after. Timed or not, running is running, and praying for rain in PE is a rite of passage.